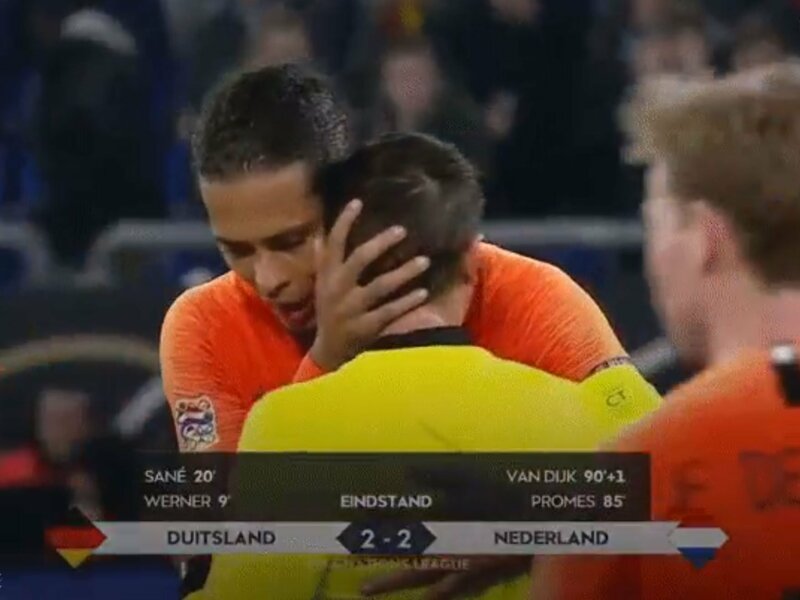 Virgil van Dijk took time out from celebrating his vital goal against Germany to console a referee who had recently lost his mother. The 2-2 tie won the Netherlands a place in the Euro Nations League semi-finals. It was a big result, but the central defender showed he’s an even bigger man. Referee Ovidiu Hategan recently lost his mother. Right after the FT whistle Virgil van Dijk went towards him to comfort him, while crying. This is beautiful.